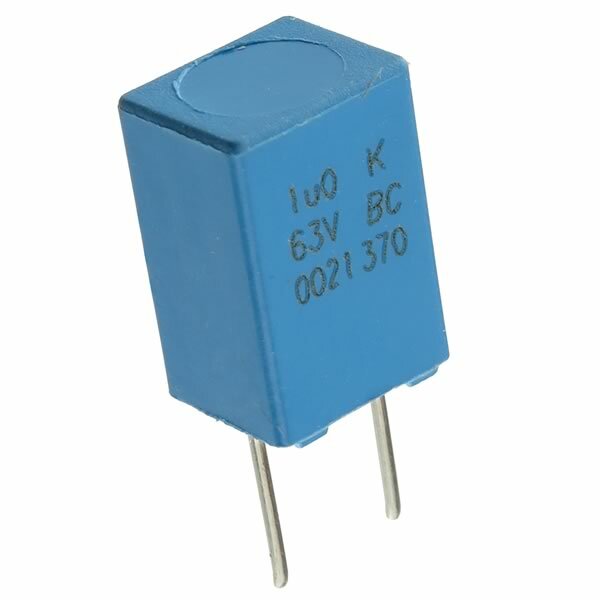 Compact 1uF 63V film capacitor measures only 0.285" width x 0.233" length x 0.43" tall. Features 2 short PC leads for PCB mounting. Lead spacing is 0.20" (5.08mm). Sold in a package of 10.